Are you looking for WordPress Theme installation Service With Professional Premium Theme Setup ? We’ve included everything you need for a successful website, all for one affordable price. Individually these services would cost over $399. It is a very good decision to setup your website using WordPress is a good decision. Web hosting purchase as well as buying domain the name if necessary. Setting up latest WordPress CMS including Theme Setup, Demo, SEO, Security and Performance Plugin. Choosing a Premium WordPress theme that you want without any hassle from top theme makers such as StudioPress, ThemeForest etc. 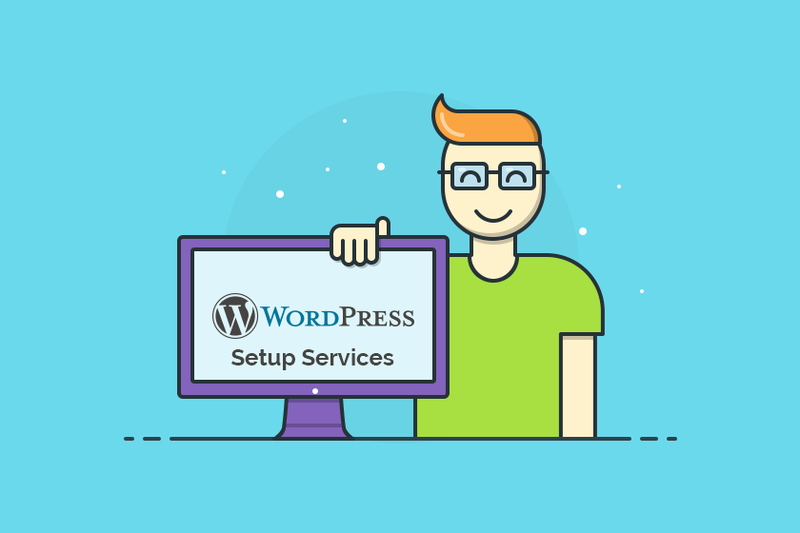 We upload, setup and configure plugins that you link from either random lists or you can choose from the list provided by us of rich WordPress plugins. Creating email addresses which will contain the domain name of you. Getting traffic of website and statistics of performance via Google Analytic and Google webmaster central. AdSense and advertising with banner ready Website. Adding contents which are basic up to 30 pages/posts. Adding online contact form & Support Forum. If you don’t have the web hosting and domain name we recommend you to buy it from Namecheap and this primary plan will be a good choice if you are planning to buy more domains in the future. Making your site usable in any kind of devices such as Android, iPhone, Android Tablets, iPads and it will also support more browsers. For better SEO experience, we’ll configure the plugins and WordPress settings for you. From our package of WordPress SEO, you’ll get more SEO goodies which will save you some cost. If you don’t know, your site ranking in the Google search results depends on the speed of your site so it is a very important fact. A website which can load up fast is sure to get more views from users and the bounce rates will be lesser. We are confident to deliver customers websites which load up within 3 to 4 seconds. We are always focused to increase the site speed. We are very serious about website security. We configure the maximum level of site security to your site to prevent it from getting hacked and also to prevent any kind of virus attacks. Your site will be regularly updated and fully backed up by using the BackupBuddy premium plugin. We provide Customization service including font color and style, background image changes. Please note that we do not provide graphic design services and all custom graphics need to be provided to us. Setting up site feed with FeedBurner. News / Blog posts delivery by email. Adding Newsletter Sign Up form. Adding Social media tools, bookmarking buttons. Syncing your site with Facebook, Twitter. We offer free support for all of our products. If you face any issues than simply post your topic with details in the exact forum. You will get our response within 1 business day. Features which are not included in our product is not covered by us. Please provide as much information as possible when posting about an issue. 399 US Dollars. Exclusive of the cost of the graphics, images, premium plugins or themes outside our collection that need to be provided. Buy this pack now by paying the advance amount! Are you looking for a custom website with more requirements, please contact us for a precise quote.